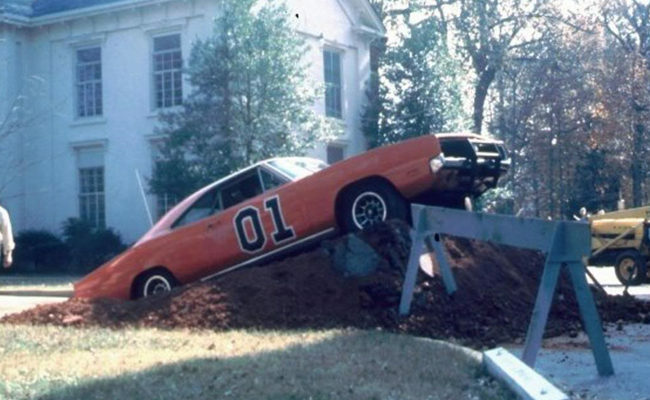 In 1978, a decision was made over at Warner Brothers to film at least five episodes of a brand new TV series called “The Dukes of Hazzard.” At the time the first draft scripts were written, it still hadn’t been decided on what make or model the hero car in the show, the “General Lee” was going to be. Originally, the idea of a Chevrolet Camaro was tossed around being as they were easily to acquire and there were plenty around. However, story goes that creator Gy Waldron saw a 1969 Dodge Charger drive past him one day and it instantly caught his eye. After that, he knew the General Lee had to be a Charger. Three 1969 Dodge Chargers were built in California while auditions for the cast were taking place. 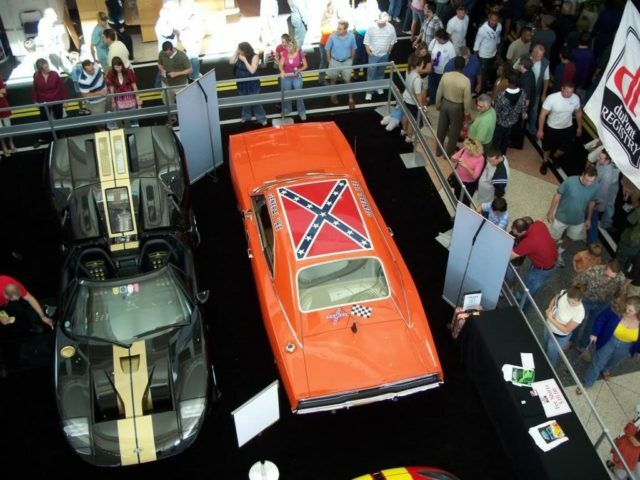 Initially, the General Lee was painted bright Orange with a Confederate Flag centered on the roof and “GENERAL LEE” text on each side of the roof above the side windows. 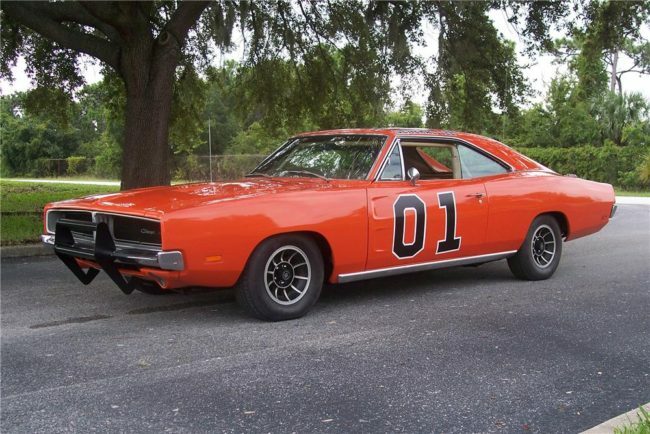 Once the cast members were finalized, they along with one General Lee and one police car were sent to Griffith Park in Los Angeles, California for a promo publicity photoshoot. 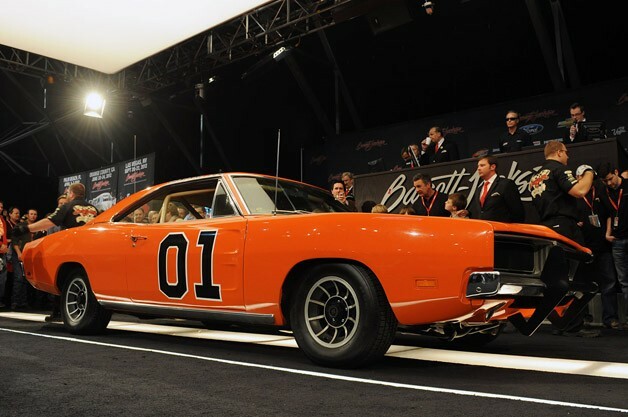 At the time, the General Lee did not the now trademark “01″ on the doors and it was not known that the doors were going to be welded shut in the storyline. That’s why you will see the missing “01” and the doors open in many early publicity photos. In October 1978, Warner Brothers began filming the first five episodes of the show on location in Conyers and Covington, Georgia. The crew got the three General Lees that were built shipped from WB in California on a car carrier. These General Lees where labeled “LEE1,” “LEE2,” “LEE3” on a black tag next to the VIN on the dash. 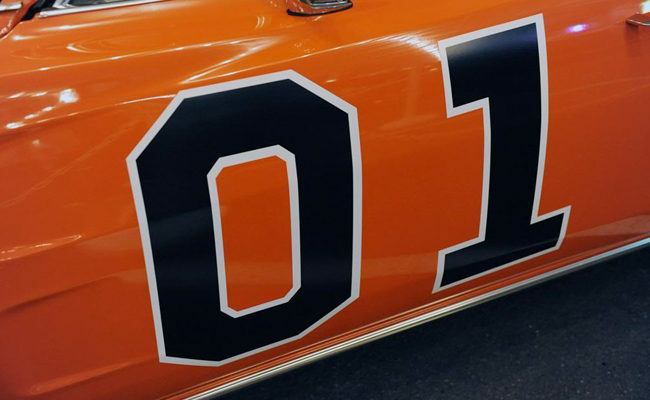 With the help and guidance of General Lee guru Justin Cornette and Lee #1 replica owner Serge Klaucke from the Netherlands, we take a look at the life of General Lee #1 and what you’ll need to do to build your own correct example. 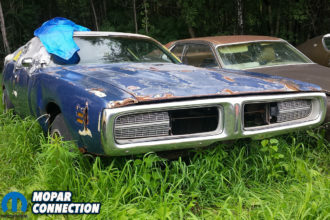 Lee #1 began its life as a T3 Light Bronze Metallic 1969 Dodge Charger with a 383 big-block engine and air conditioning wearing the VIN XP29H9B193680. Lee 1 was featured several times in the first episode, titled “One-Armed Bandits” that aired on January 26th, 1979. 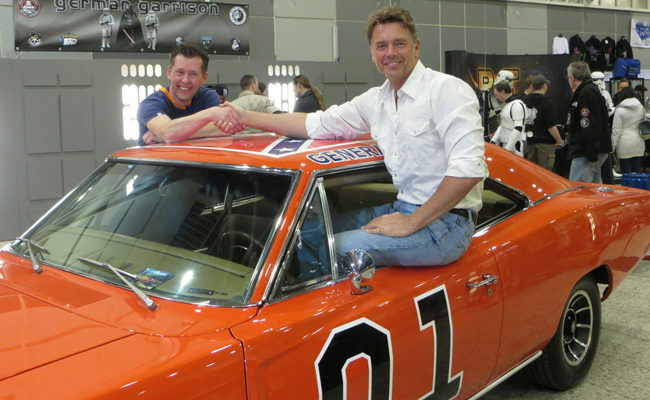 The only cast member that drove the car is John Schneider who played Bo Duke. 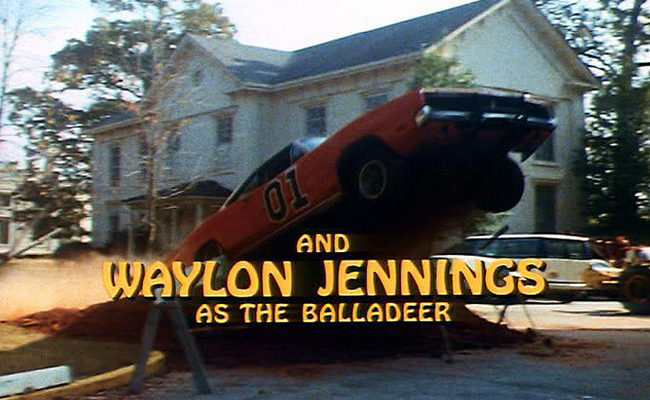 Lee #1 is the General Lee in the jump scene that is featured at the end of the opening credits at the beginning of every episode. That jump was made by stuntman Craig Baxley in front of Seany Hall on the campus of Oxford College, in Oxford, Georgia, on Saturday, November 11, 1978. The car’s first and only flight was 16 feet up-and-over the police cruiser, landing 82 feet from the ramp. 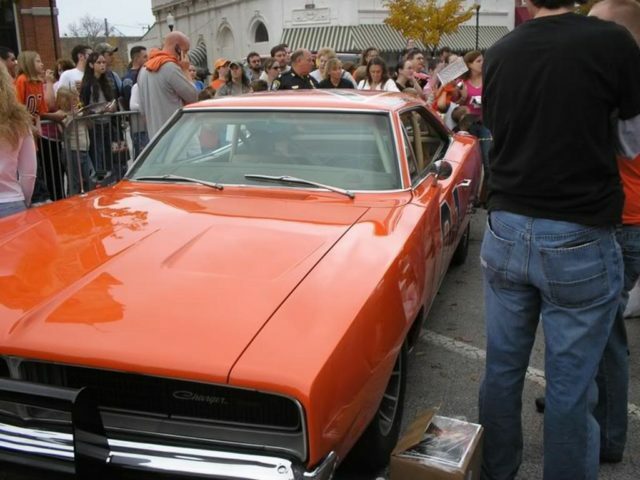 After filming, the damaged car was taken back to the body shop and was never used as a General Lee again. It became a parts car for the body shop to build other General Lees; loaning doors, bumpers, the rear valance, tail lights, grille and other pieces to other Generals as needed. After the body shop took a lot of useable parts from Lee 1, the car was put into storage and left. During filming episode called “Repo Men,” Warner Brothers had already gone over budget for the show and had no choice but to recycle cars for various requirements so Lee #1 was called into use again. 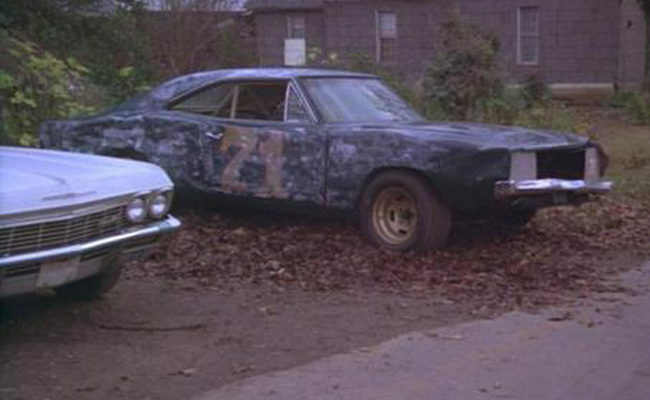 The car was not used as a General Lee but as the wrecked Richard Petty race car the Dukes boys buy in the episode. 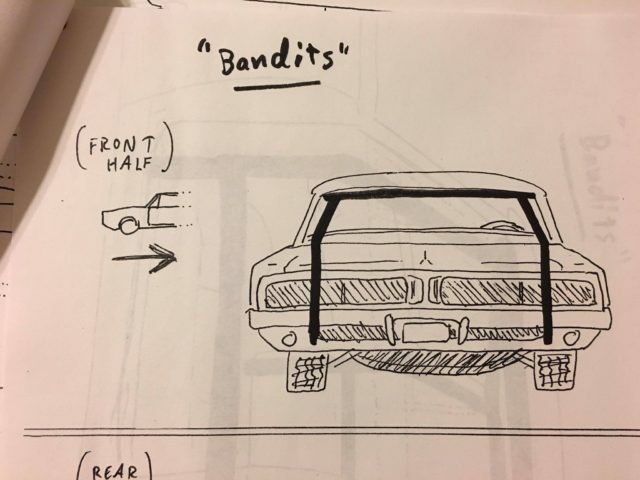 In order to get the car ready, it was repainted greenish-blue and then scuffed up with cinder blocks to give it a “banged up” look for the episode. Around the time the show left Georgia and moved back to California for further filming, around fifty or so cars including Lee #1 and a small handful of other General Lees were sent to a junkyard in the general Atlanta area. 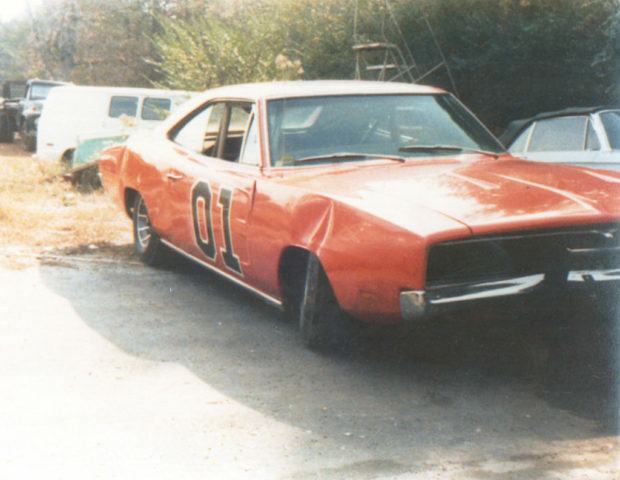 In 2000, after receiving a tip, some “Dukes of Hazzard” fans found Lee #1 in the junkyard along with the first two police cars made for the show (labelled Police 1 and Police 2), a parts ’68 Charger and the blue Fury that was blown up in the episode “Mary Kaye’s Baby.” While most of the cars from the show were scrapped between 1986 and 1987, it’s a miracle these few survived. Many say what saved Lee #1 was the concrete in the trunk from the jump as concrete couldn’t be put into the crusher. 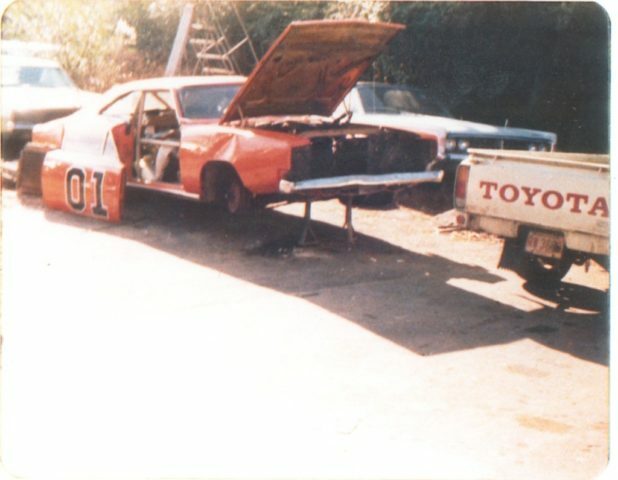 The car was purchased from the junkyard by the two fans that found it: Travis Bell and Gary Schneider. They eventually sold the car to a group of three to four gentlemen in Ohio. They kept the car for a while and then sold it to Marvin Murphy in Florida. When Marvin purchased the car, he knew right away that he wanted it restored to pre-jump condition. 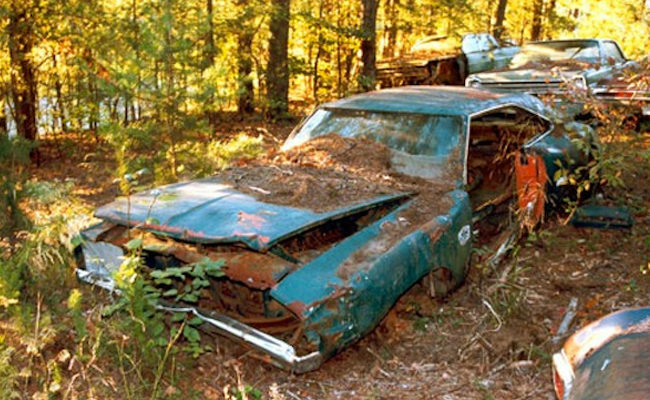 Since Travis was the one who found the car, he wanted Travis to oversee the restoration to make sure everything was correct. 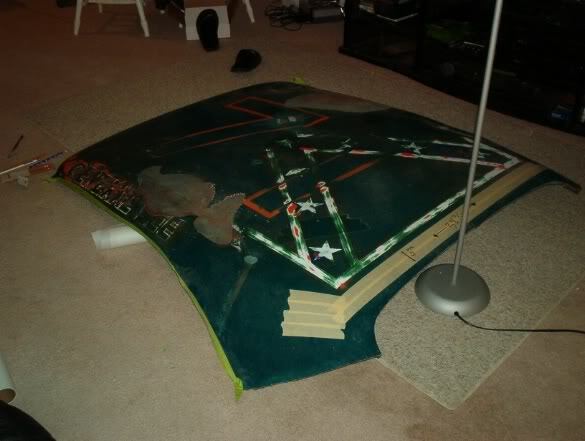 It’s been said that Travis actually tried to talk him out of restoring it, but Marvin’s mind was made up. While we do not want to get into the drama that took place during that restoration; we will say unfortunately, not much of the car remains original. A lot of the original parts were taken off and sold for profit. 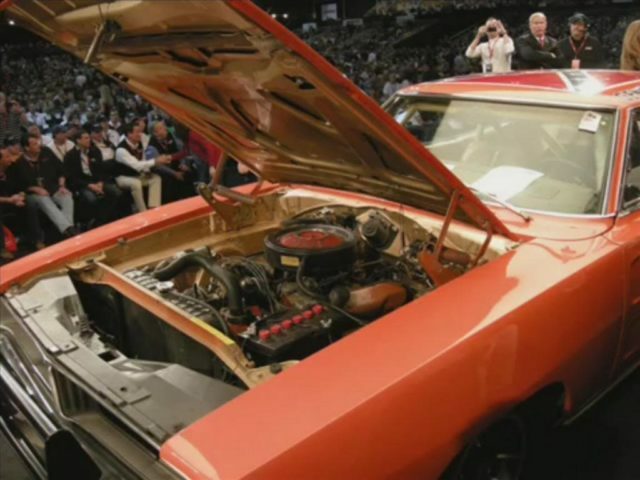 After the “restoration” was finished, it was used for a few promotional events before being sold at Barrett Jackson for $110,000 USD to professional golfer Bubba Watson. 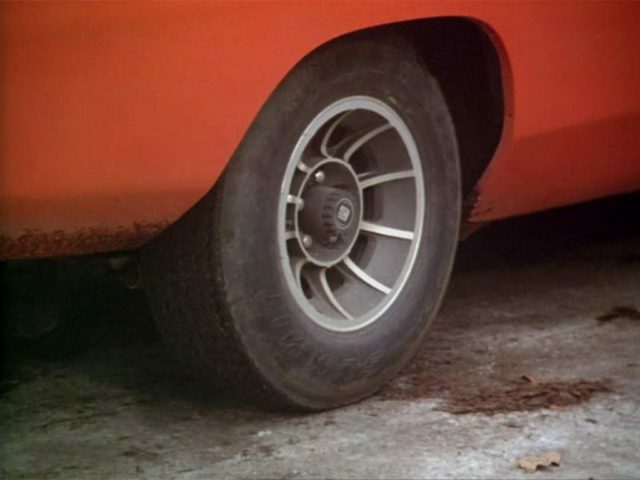 Although not much of the original parts used on the car in the episode are left on it, items such as the dash frame and pad, front windshield (including the crack from the jump and original parking permit), steering wheel and 383 engine block are the original pieces. That being said, because the car was restored to its exact pre-jump condition, pictures of it are very helpful if you are building a replica. 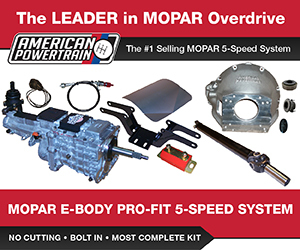 Many other Mopar magazines have tried to do comprehensive “How To Build a Correct General Lee” articles and have failed. We strive to provide you with the most correct information in this one. 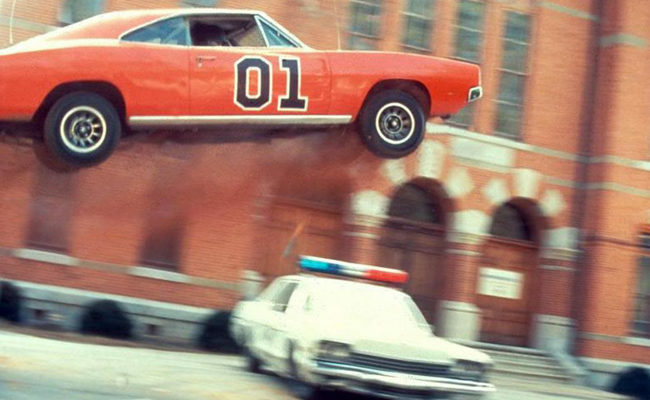 BODY: It is reported that upwards of 321 General Lees were created (and mostly destroyed) for the series, as well as another 30 cars destroyed in the making of the movie. That’s a lot of Chargers. 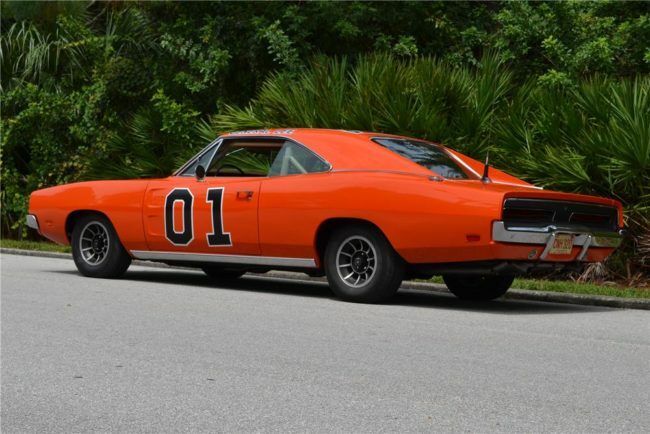 And while it’s great that so many love the series and want to own a General, it’s disappointing to see anything other than a 1969 Dodge Charger coated in the bright orange paint and wearing the Battle Flag. 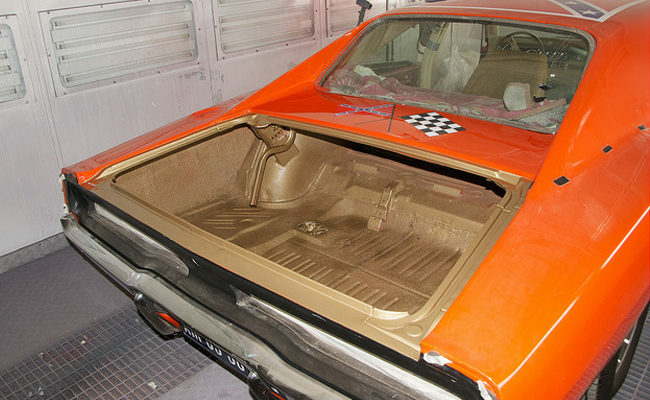 Unless you have a gutted ’68 or ’70 Charger that you’re planning to replace the tail panel and grille (and other components) to make a proper ’69 clone, we would strongly urge to bring your Mopar back to life as it’s own creature, and let the General Lee look be. 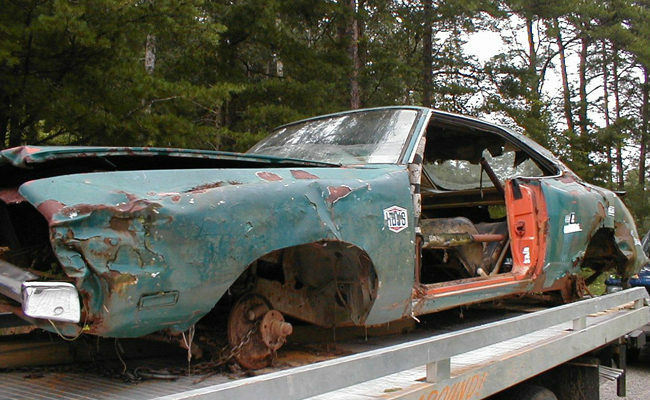 Obviously for the easiest General Lee build, you’ll find to find a ’69 Charger. PAINT: The General’s orange paint job was such a huge trademark for the car. 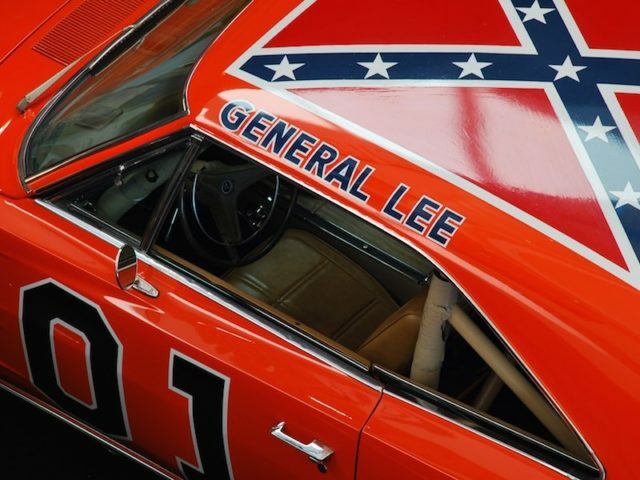 The subject of the true color of the General Lee has always been a heated one for many. Some say Hemi Orange, some say 1975 Corvette Flame Red, some say AMC Big Bad Orange, and some say Hugger Orange; the list goes on and on. Our General Lee guru Justin says “Lee #1 was indeed 1975 GM Corvette Flame Red (paint code 70).” He goes on to say the majority of General Lees built after the first three were done in 1975 Corvette Flame Red as well. 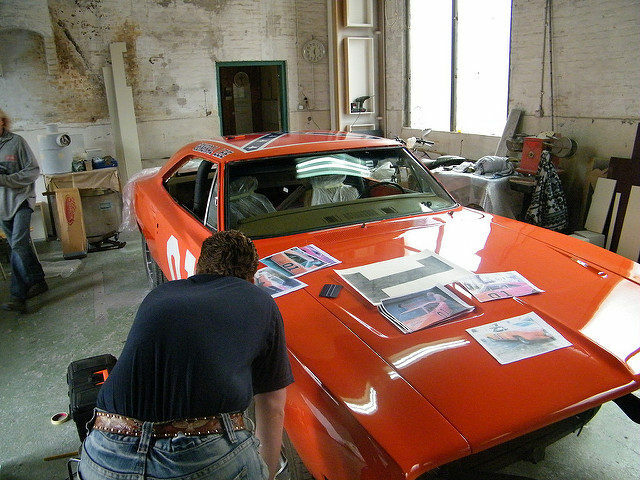 Justin also says while there are reports a few cars were repainted as the mechanics made repairs to them, General Lee #1 was not repainted until it was painted green for the “Repo Men” episode. 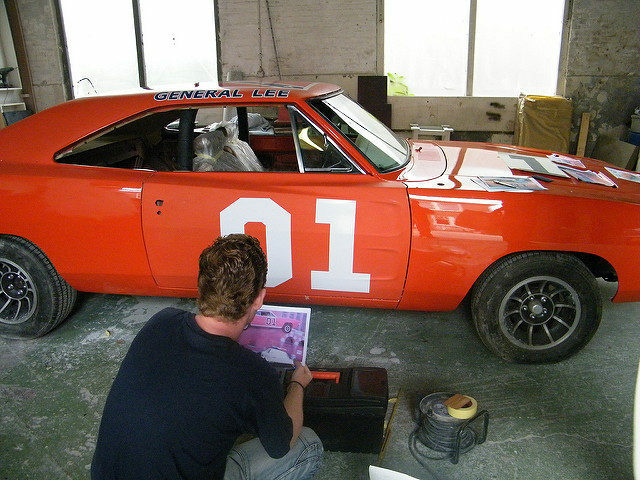 When General Lee #1 was painted orange for the show, it was done right over top of its factory T3 Light Bronze paint. 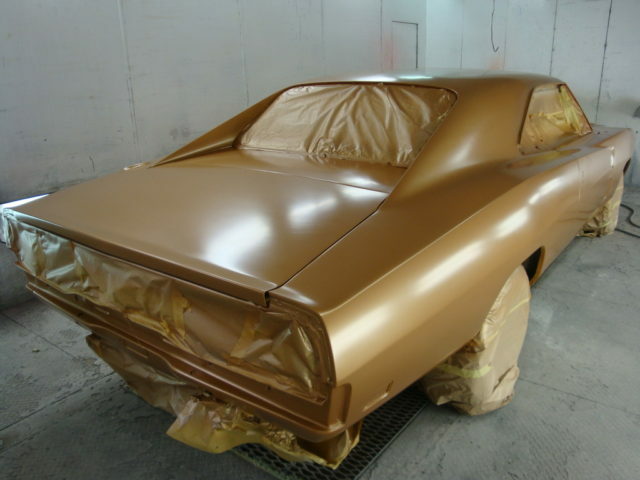 For Serge’s replica, he wanted to replicate how they would have done it when building the car at Warner Bros. so he chose to spray his Charger in a coat of T3 Light Bronze metallic first. 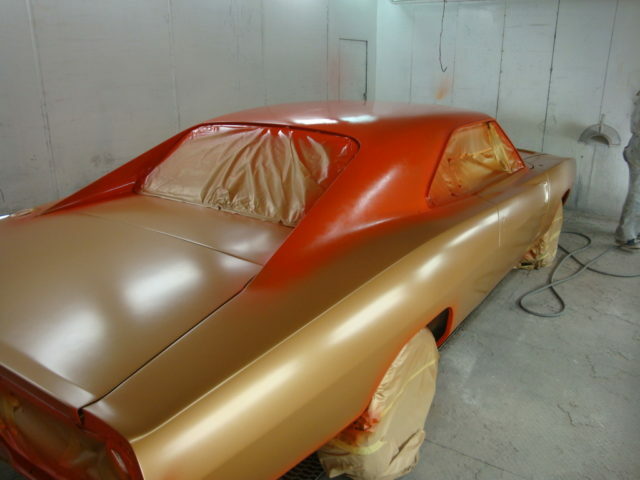 Once it was complete, he then laid down a coat of 1975 Corvette Flame Red paint directly over top for stunning results. 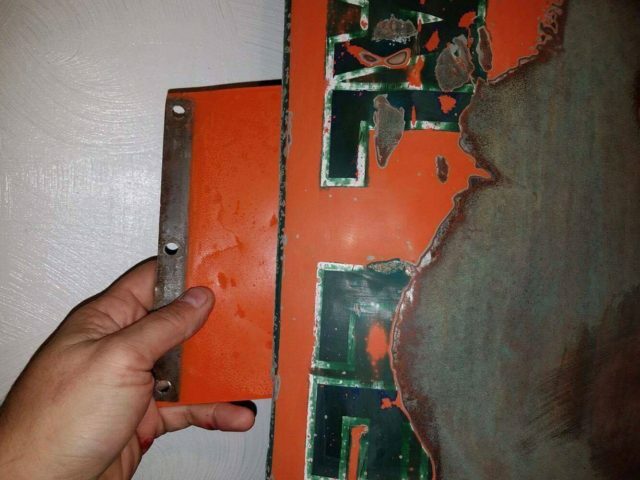 When the guys at Warner Bros painted it orange, they used a cheap single stage lacquer. 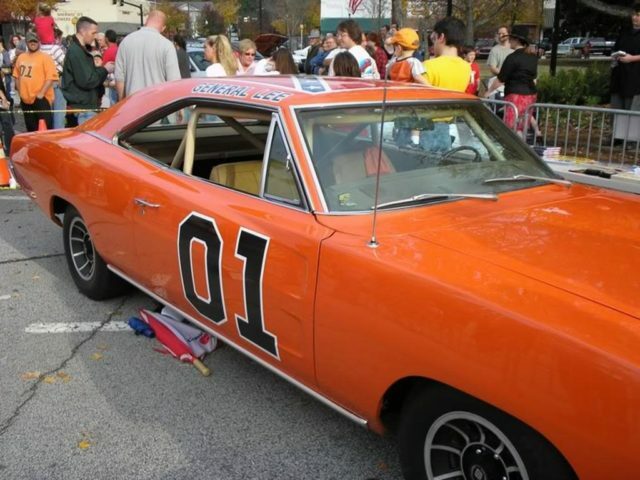 Jim Shine, another noted General Lee expert who took part in the restoration of Lee #1 says because they used cheap orange paint at Warner Bros. for the car, you were still actually seeing a slight tint of the T3 through the Corvette Flame Red paint. 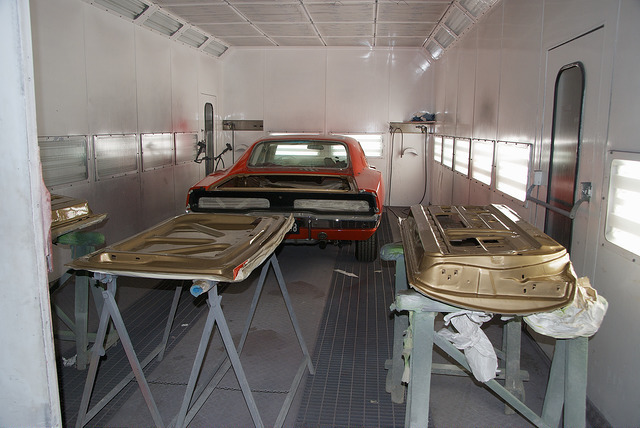 Justin, who is in the body shop business, says, “the T3 Light Bronze color would not have bled through the orange, unless the painter did not get enough coverage on the paint job.” He also says that while you can chose to paint your entire car T3 Light Bronze first before painting it orange, it’s not really necessary as a proper paint job in the orange will cover the primer just fine and turn up the same results as painting it T3 first. 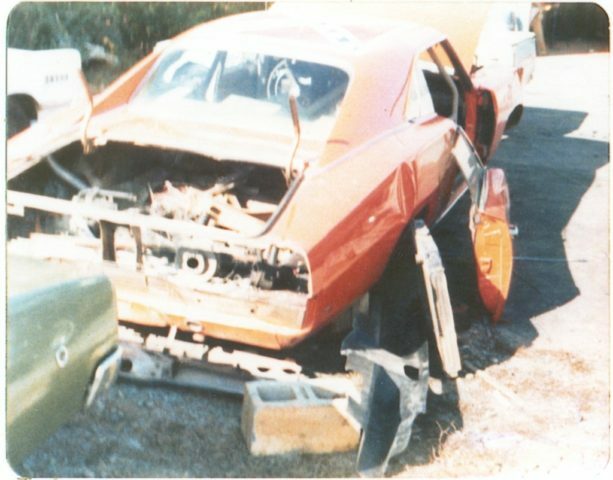 Due to the fact General Lee #1 was a second unit stunt car, only the exterior and door jambs were painted Corvette Flame Red. 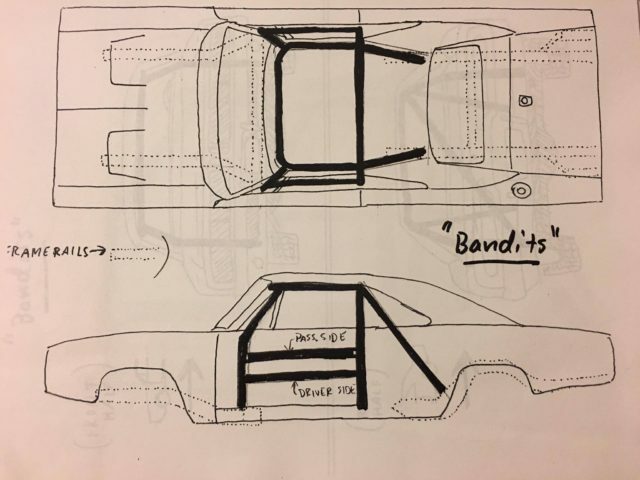 To properly replicate the car, the entire interior sheet metal, engine bay, bottom of the hood, hood hinges, trunk, trunk jamb, and underside of the trunk lid and would be painted T3 Light Bronze and the engine bay and trunk jambs would have had orange overspray come thru the panel gaps due to a sloppy masking job. Simply put, paint everything T3 Light Bronze that would have been painted in that color from the factory before laying the coat of orange on top of the T3 on the exterior if you do chose to paint the entire exterior T3 first. 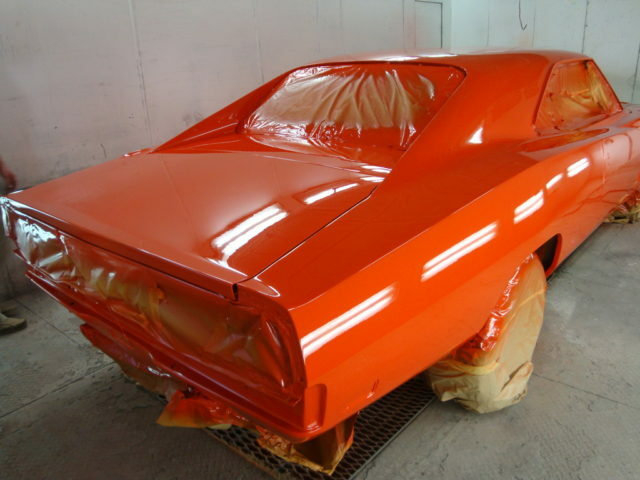 If you choose not to paint it T3 first, just paint the exterior orange with the emphasis on getting orange overspray into the hood and trunk panel gaps where it’ll be T3. We will note that for General Lees used for scenes where the hood was open, the crew building them shot the engine bay in a very cheap coat of black paint to cover up whatever the original color of the car used was. 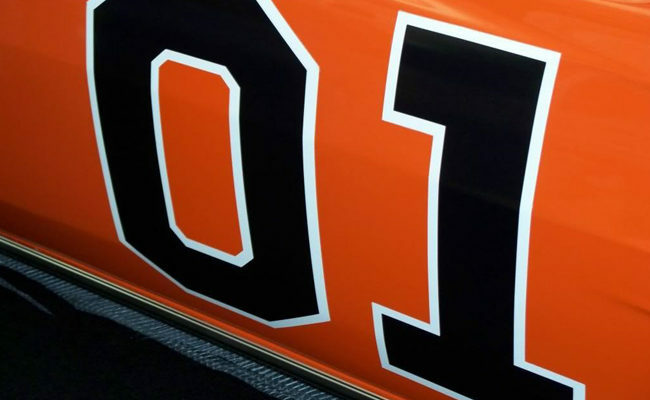 DECALS: On the original General Lee #1, the Confederate Flag and General Lee script on the roof were hand painted, while the legendary “01” were vinyl decals. Once production left Georgia and moved to California; the task of building of the cars was being done by the Veluzets. They continued to paint the flag but only the red and blue sections. 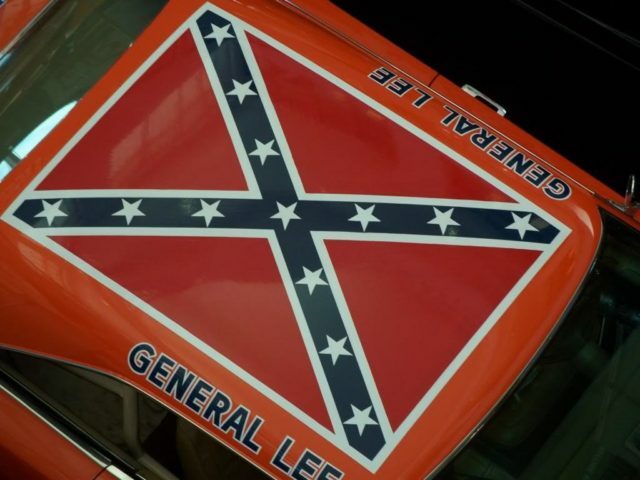 Vinyl was used for the stars and white border on the flag as well as the General Lee lettering. 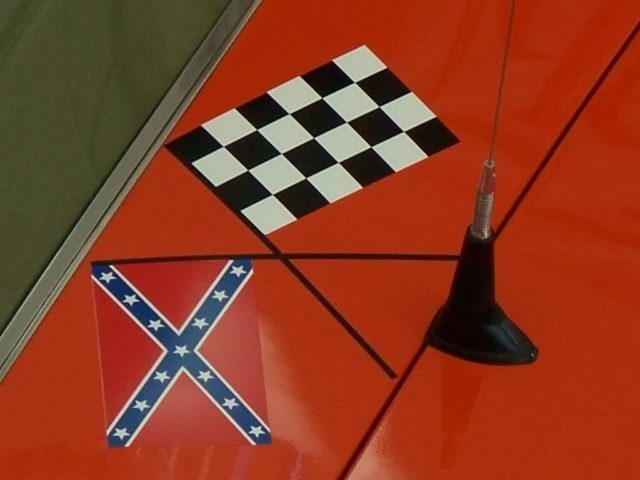 General Lee #1 also featured the crossed flag decal on the Dutchman panel below the rear window; one flag was the Confederate flag and the other a checkered flag. Lee #1 was very noticeable from the others as well as the “1” on the driver’s side door was crooked. While Serge opted for the painted versions on his replica, you can go vinyl for your replica if you choose. 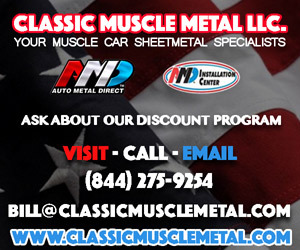 Crazy C Graphics makes what are deemed the best General Lee vinyl decals in the industry. They offer the best quality and most accurate graphics. They cover all versions of General Lee from the early Georgia days to the crudely-built later California-filmed days. For your Lee #1 replica, shoot him an email directly, as Justin says he does make a General Lee #1 specific graphic set (the “Georgia Era GL” decal set is pretty much spot on). He also sells decal sets for later California era General Lees as well as the 2005 movie edition ones. No matter what version of General Lee you are building, his decal kits are deemed the best. 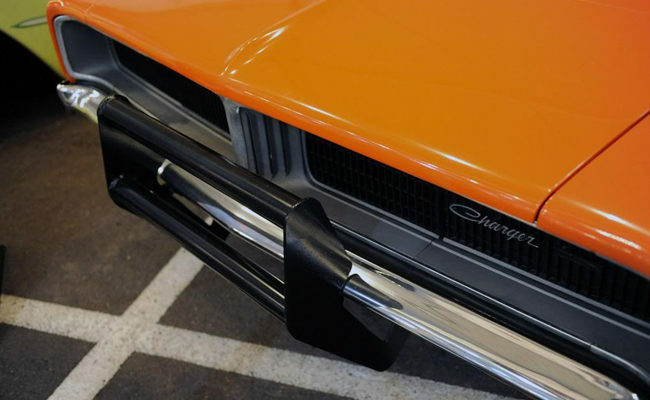 EXTERIOR DETAILS: The true noticeable difference with General Lee #1 versus the other General Lees is the factory M25 coded chrome rocker panel trim. This was the only General Lee to feature them exposed. 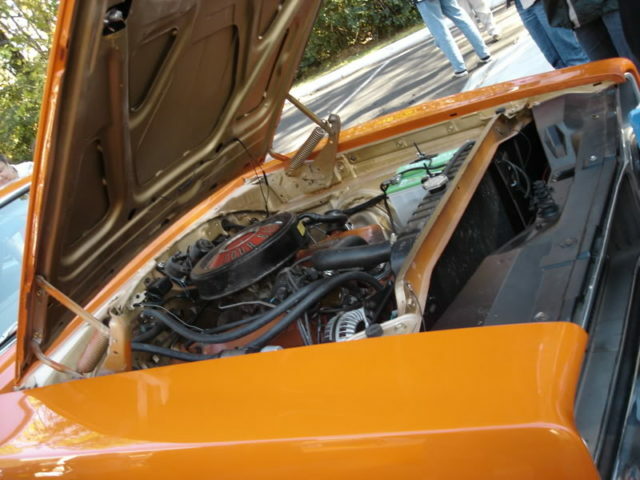 While some other cars used in the show had them; such as the jump car used for the “Carnival of Thrills” Episode 32 car jump scene, the crew building them just painted the rocker trim orange on these cars to hide them. For your Lee #1 replica, you definitely need these. Reproduction trim can be purchased from Classic Industries as well as the mounting hardware needed to install them. While all later General Lees had shaved marker lights and reverse lights, General Lee #1 retained them so you will want to keep your side marker lights and reverse lights on your Charger. When building General Lees for the series after those first few that were built, the crew used quite a few 1968s, so they had to shave off the marker lights. 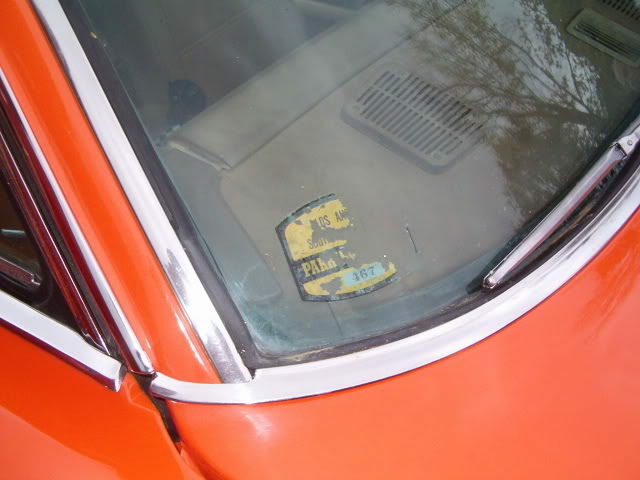 To have consistent cars, they started shaving all marker lights off including on 1969 models. 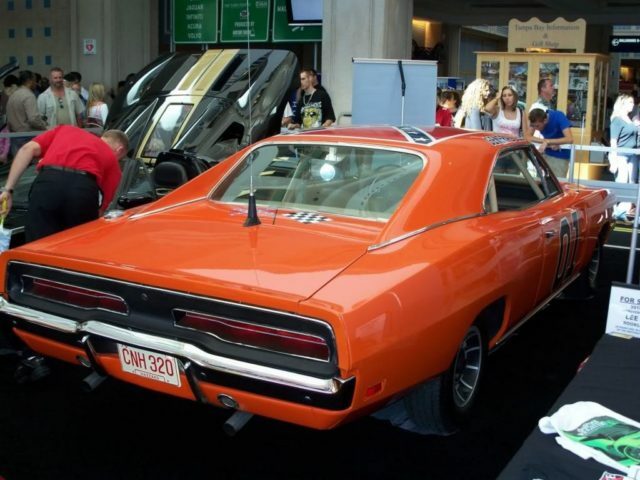 Since 1968 Chargers did not have reverse lights, they also started shaving off the ones on the 1969 models used for the show (despite popular belief, there were no 1970 models used in the series according to the car builders). Most of the time, the “shaving” was done crudely and involved a lot of body filler. 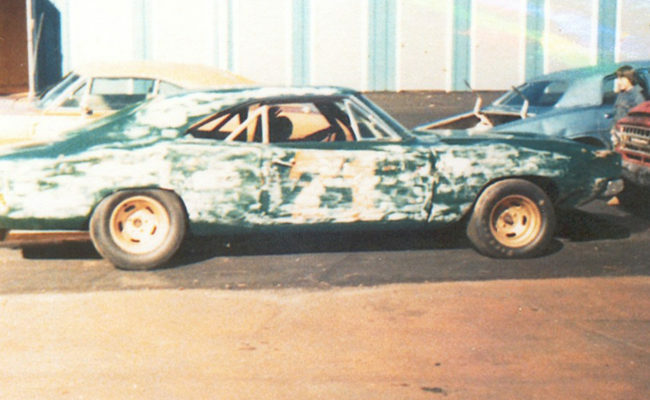 From what we’ve been told, the Charger used for the original Lee #1 had been hit on the driver’s quarter early in its life and repaired poorly. 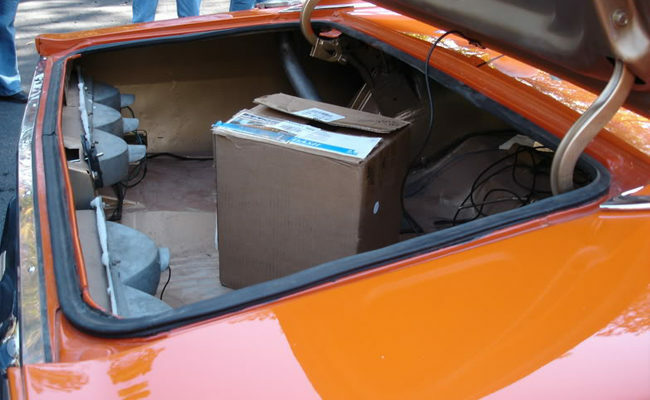 When it was repaired, the wheel well trim and chrome trim ring under the gas cap were never re-installed so they weren’t on the car when it was redone as a General Lee. 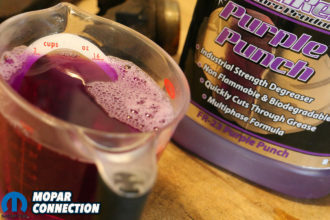 Therefore, for your replica you will also want to remove the wheel well trim and gas cap trim ring. On Lee #1, the wheel well trim screw holes still remained on the wheel well opening lips. 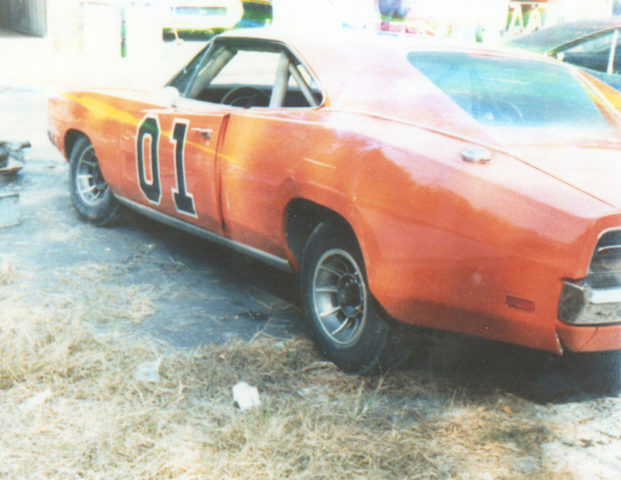 General Lee #1 was an original vinyl top car however when the top was removed, the vinyl top trim was left on it. 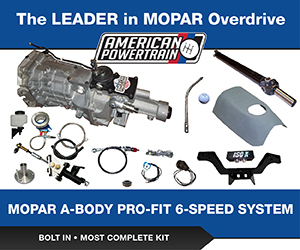 You will want to install these on your replica. The Charger script emblems on the sail panels and rear tail light panel were removed and the holes filled. On the grille, Lee #1 did retain its original Charger script and arrow emblems but the arrow emblem was painted black. PUSH BAR: The first few original push bars including the one on Lee #1 were actually an aftermarket piece designed for a small truck. While we do not know the brand or model, we were told the crew building the cars modified them to fit the Chargers. Tabs were welded on the inside of the push bar so that it could be bolted to the front bumper using the factory bumper bolt locations on each side of the license plate. “There is only one surviving small push bar from the show that I know of. The guy that owns it will not let anyone take measurements, pictures, or tracings of it though. You would be lucky if he even let you look at the car,” says Justin. For your replica, Smith Bros. makes a fantastic reproduction push bar that replicates the original one from Lee #1 perfectly, including the mounting tabs. 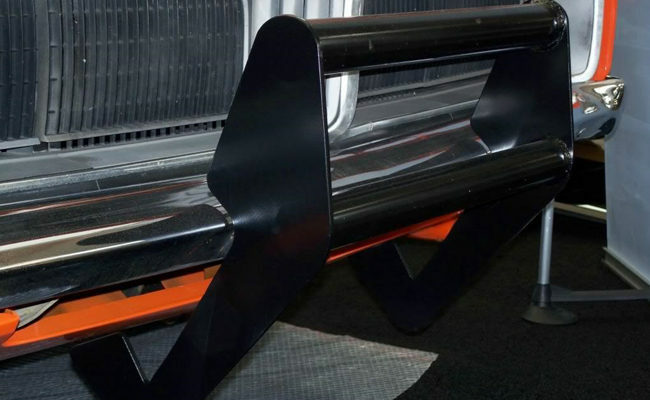 If you are building a later California era car with the wide style push bar, Smith Bros. sells those too! HORN: To add the legendary Dixie horn to your replica, the ideal horn was made by Jubli-Aire/Jubilee in the 1970’s. However, they are very hard to come by. Another good one that is hard to come by is made by the brand FIAMM. The most common brand of Dixie Horn is Wolo. They are currently in production still but sound a little bit off out of the box. You want the 12 note horn; not the 11 note version. We’ve been told if you get a Wolo 12 note horn – and to get it running right and fast for the proper sound – lube the compressor, keep the hoses short and use heavy-gauge wire. INTERIOR: The interior in Lee #1 was a bucket seat, console shift set-up. The Charger used for Lee #1 came original with C6T coded saddle tan interior. 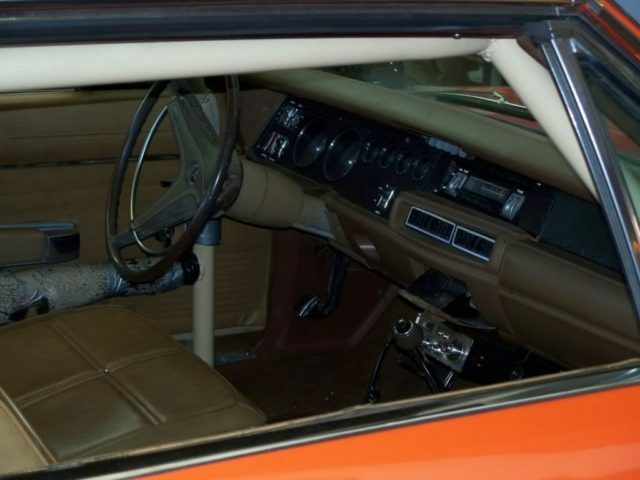 For those building a replica of Lee #1, you’ll want to order standard 1969 Charger saddle tan interior. 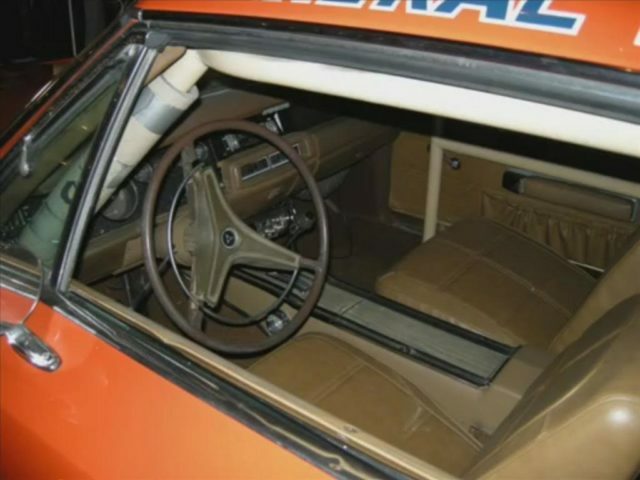 Do not get confused with the “Dukes of Hazzard Tan” interior that Legendary sells. That was developed for those wanting to build a later series General Lee where the builders on the show spray painted those interiors light tan. 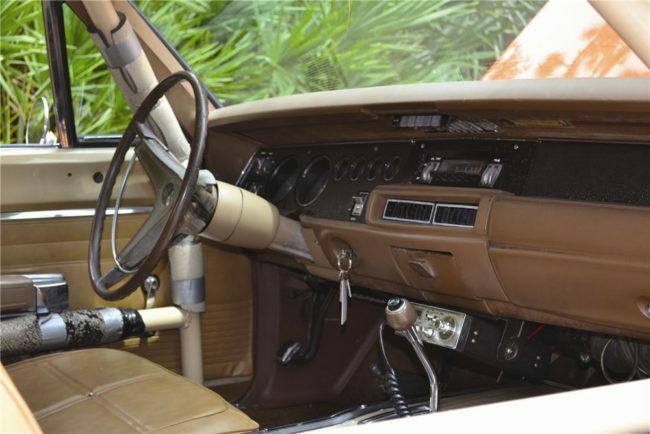 For these later cars, the spray tan paint job on the interiors were done quite crudely and often resulted in overspray all over everything (such as the steering wheel and gauge cluster). 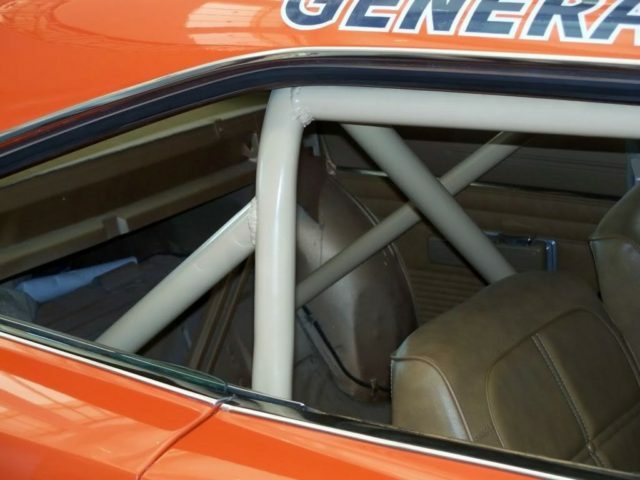 General Lee #1 featured a three-speaker dash and the standard tan colored steering wheel with the padded center and partial horn ring. The front bucket seats did not have head rests. The back seat was removed for the roll cage since Lee #1 was a second unit stunt car but the rest of the interior stayed intact. 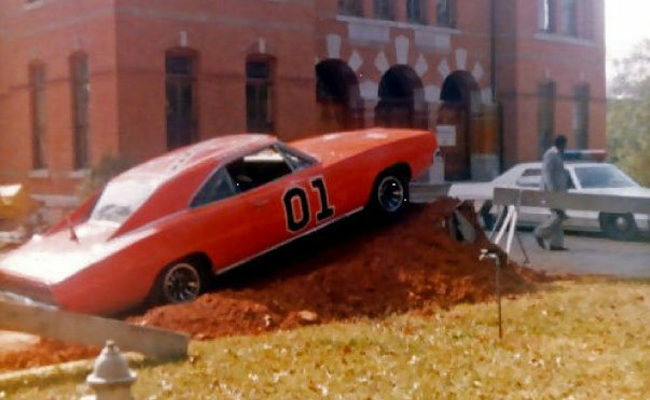 Other General Lees including many later ones had the backseat as the Duke boys had passengers in the rear in a lot of episodes so a full roll cage was not used for the cars used in these scenes. The door lock pins were removed to allow the actors to slide in and out of the window smoothly without catching anything. A key note for Lee #1 is it featured a label on the driver’s side of the dashboard beside the VIN stating “LEE1.” This can be made with a label maker. It was black with white lettering. We have provided pictures of this label. We can also confirm Lee #2 and Lee #3 had these as well. 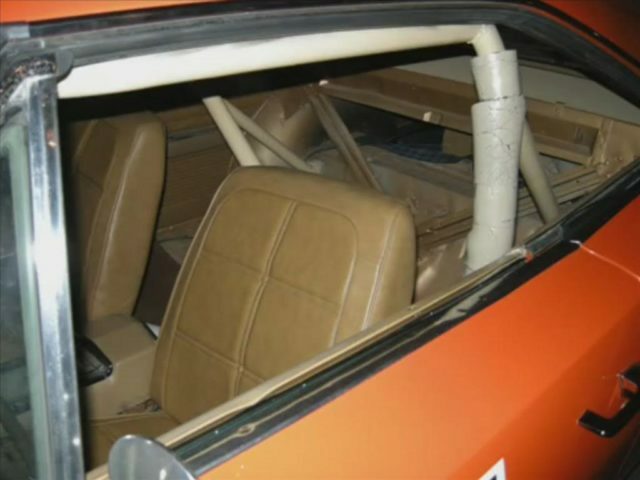 ROLLCAGE: The roll cage in General Lee #1 was built with 1 ¾-inch OD tubing. The horizontal bars that ran alongside the doors were at two different levels. The driver side went below the armrest and the passenger side ran just above the armrest. The padding would be Armaflex closed cell padding which is commonly used for pipe insulation. 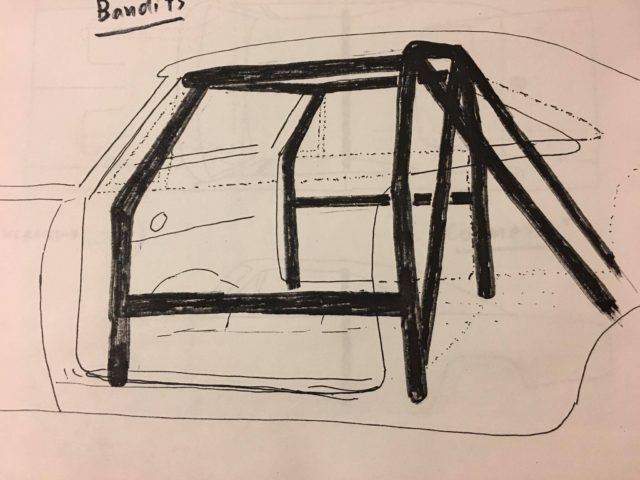 Justin provided us with absolutely fantastic diagrams of the original cage that he received from Mike D. over at dodgecharger.com. 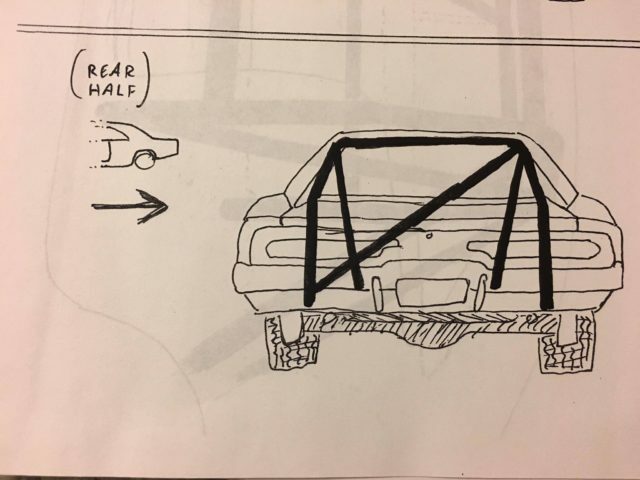 Because cars produced for later episodes retained the backseat, the cage was very different from the one built for Lee #1, often being a simple vertical head hoop, occasionally having the downward diagonal support or rear supports running through the package tray into the trunk. Having attended Dukes Fest, we can attest that the single hoop and diagonal (passenger top to driver bottom) support bar is the most common. 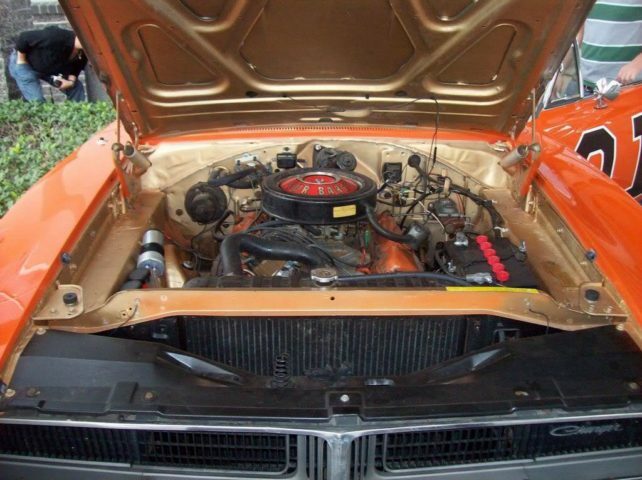 UNDER THE HOOD: General Lee #1 was powered by a 383-4bbl engine backed by a 727 automatic transmission. The bulk of the cars used for the show were powered by 318s and 383s. It’s said they also used R/Ts as well but not very often. There has been a rumor they used a 426 Hemi R/T at some point too but it hasn’t been confirmed. When the team did the restoration on Lee #1 a number of years back, they decided to make the engine look like it would of after ten years of daily use. The block and valve covers wore dirty orange paint that was chipped and cracking and the intake manifold wore dirty Chrysler blue paint. The air cleaner on the restored Lee #1 is the stock black wrinkle finished, unsilenced unit however when the hood is opened in the episode “Repo Men,” you can briefly see a chrome air cleaner sticking up over the radiator support. Please note in that episode, the close up of the modified “Richard Petty” engine wasn’t actually the one in the car. While it was an original A/C car, the A/C set-up was removed and the heater core and A/C hoses were looped into each other. For your replica, we have provided many photos of the engine if you choose to want to replicate it like it was on the real car however it you want everything shiny, just do your engine like a typical 1969 383-4bbl would have been. For exhaust, all H-code 383-4bbl cars like Lee #1 came from the factory with a dual exhaust system. Due to it being a California-sold car when new, it would not of had the chrome dual tips, instead it would of came with the turn down pipes that angle down right before the rear valance. 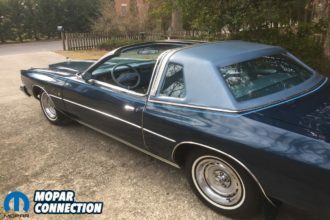 When it was restored, the team chose to do a dual system with Flowmaster 50 series mufflers and turn down exit. It would have had the original exhaust manifolds on it still. 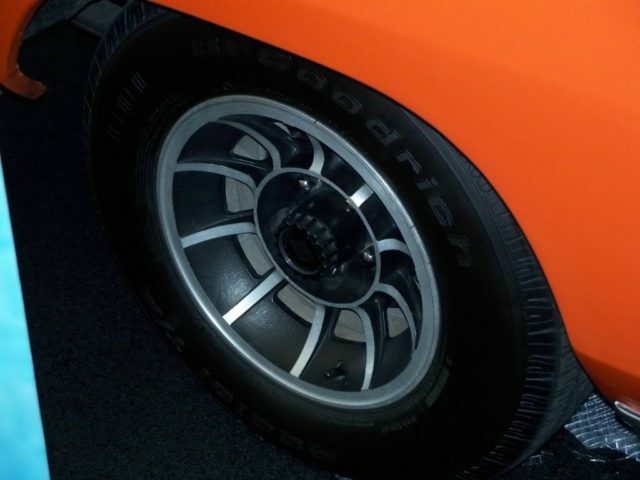 WHEELS AND TIRES: For General Lee #1, the crew at Warner Bros. used a set of 14×7 American Racing ten spoke Vector wheels with center caps that had the Carroll Shelby Racing logo on them. For the early few Georgia General Lees like Lee #1, Summit brand tires were used. We do know Lee #1 got BF Goodrich Radial T/As (black wall side out) during the restoration which looks close while maintaining total driveability and reliability. General Lees on the show never had the white letters facing out. For tire size, they varied all over the map as the vehicle maintenance crew threw whatever tires they had available on. Your best bet is to run something like a P235/70R14. SPECIAL DETAILS: The car was previous owned by a student from Los Angeles Southwest College Parking. 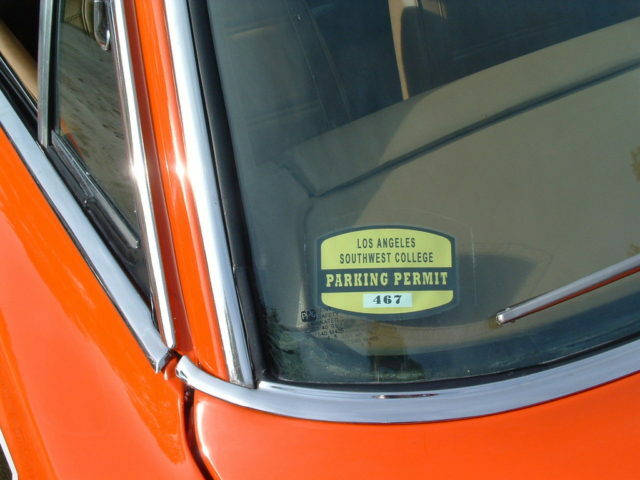 We know that because the parking permit sticker for this college was placed on the front window and Warner Bros. never removed it during filming. The windshield was cracked during the jump’s landing. 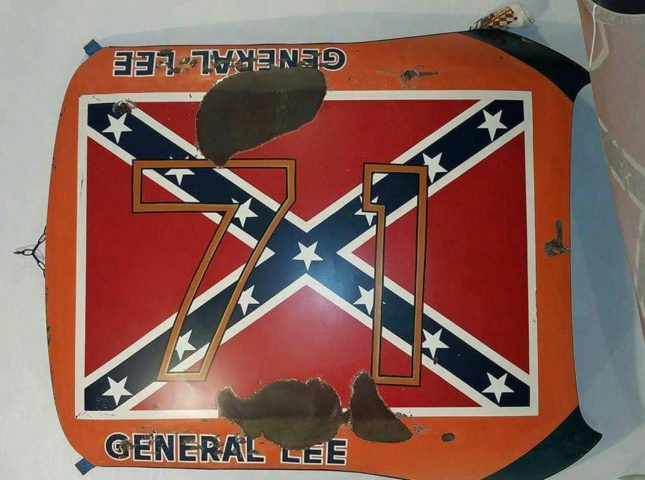 When the restoration of Lee #1 took place, the original cracked windshield with the sticker was put back into the car. We’ve been told by numerous sources that Bubba Watson has since removed the original cracked windshield and sticker and tossed it in the trash. Serge had a perfect replica made of it for his car and has kindly supplied us with measurements. 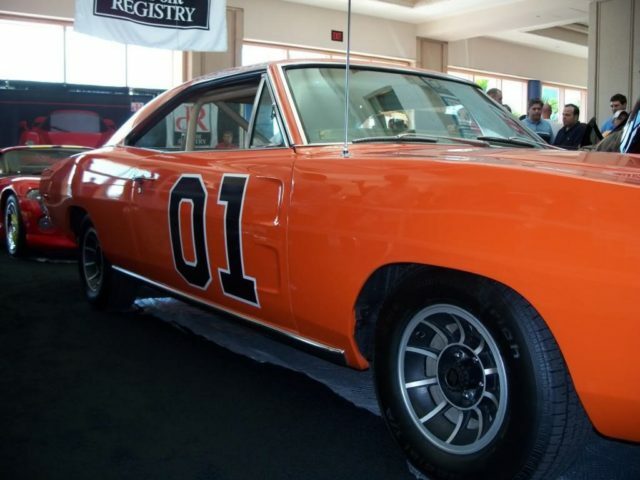 This was the only General Lee to feature this so if you aren’t building a Lee #1 replica, this won’t apply to yours. 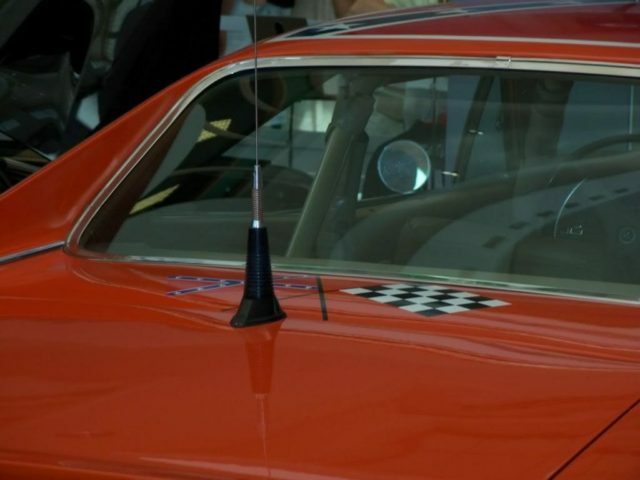 The CB radio in General Lee #1 was a Cobra 78X and was mounted directly under the ashtray on the bottom of the dash. The teardrop antenna on the trunk lid was a Radio Shack 21-908A unit which is hard to find now but does occasionally pop up for sale online. Check Craigslist, you might get lucky. We’d like to extend a very special thank you again to Justin Cornette and Serge Klaucke for sharing their incredible wisdom and knowledge of General Lee information with us. Without them, this guide truly wouldn’t have happened.